Babette is a product designer who works at the interface of materials, technologies and the processes that connect them. 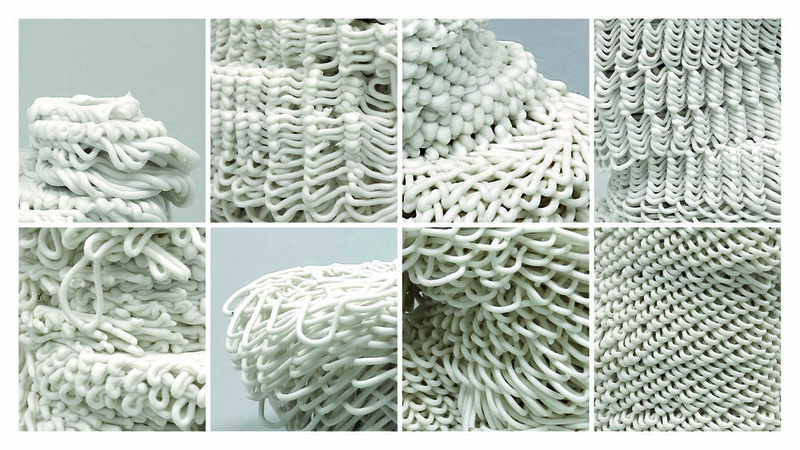 She focuses on additive and computer-aided technologies (3D-printing) using fluid materials, in particular ceramics. Her research activities are based on a fundamental interest in the natural and technical processes behind the creation of form. This interest led her to implement organic strategies like feedback or regulatory circuits into the system of a 3D-Printer and challenge the potential of that technology. Babette is co-founder of the design collective Additive Addicted, she is lecturing at art academy berlin weißensee and Muthesius University of Fine Arts and Design. Within the project »Ceramics and its dimensions. Shaping the Future« her work was shown throughout Europe; she has exhibited at Salone del Satellite (Milan 2018), Ventura Future 2018 (2018), as well as at Museum Schloss Fürstenberg (being shortlisted for the Richard Bampi Preis 2018).